Starting with Budget men’s watches as low as $50 and ending with high-end luxury chronograph watches, here is our annual guide for the top men’s watches of 2018. Looking for the perfect Birthday or Christmas gift idea for that man in your life or simply want something for yourself? As the only male contributor to this website, hopefully, I can help. 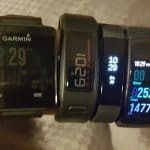 I’ve been wearing and collecting watches for years as I like the way they set me apart. Sure, I can get the time from my cell phone. Yet, there’s something more established about having a watch available on my wrist at all times. Buying a watch online can also save you a bit of money by avoiding the commission you’d have to pay for a seller. So, we’d recommend that route as long as you can get genuine paperwork for more expensive options. 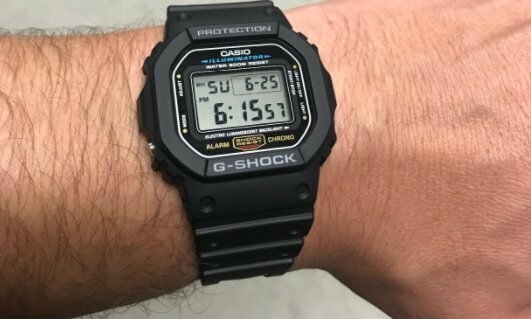 The Casio Men’s G-Shock certainly isn’t going to win any fashion awards. Yet it does something that many of those watches can’t. It offers men a rugged option, that works, goes with just about every outfit, is water resistant and comes in under $50. 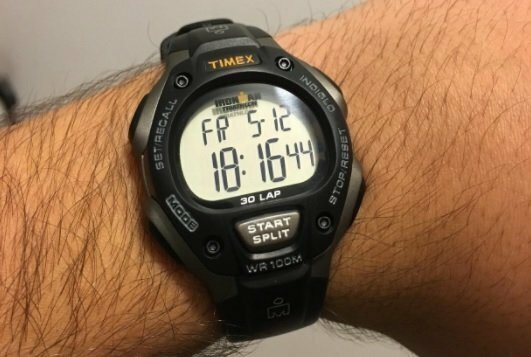 If you’re looking for a runner or biking enthusiast that needs something functional, I like the Timex Ironman watch. It’s built for performance, function, and some abuse. 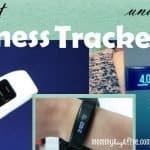 The 4 easy-to-use buttons are intuitive and what’s you understand how they function, give you a lot to work with while you’re doing intervals. In fact, this watch works for pretty much any fitness activity you’re doing except for resistance training. During those activities, it feels a bit restrictive. Yet, most watches have this problem so it’s something I typically look past. The profile of it is rather small. So, it’s not distracting but not a statement piece either. Of course, you get the classic Indiglo feature with this watch. It’s great for seeing the time at night. That being said even most fitness bands have this feature in 2018. If you’re looking for something classy and luxurious looking under $100, look no further than Invicta’s Pro Drive watch. 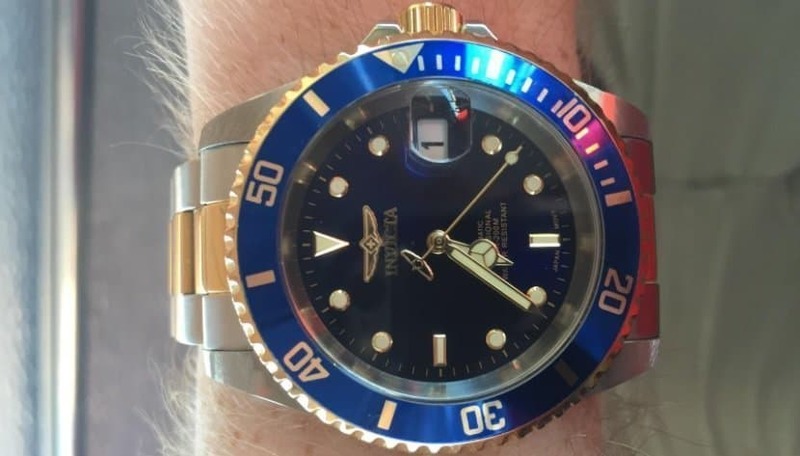 The Invicta Men’s 89280B is a gold plated and stainless steel watch with a round face and 40mm diameter. The back is skeletonized so you can see the movement inside. This adds for a nice touch when someone asks you to have a look at it. The included bracelet has a clasp for keeping it in place. 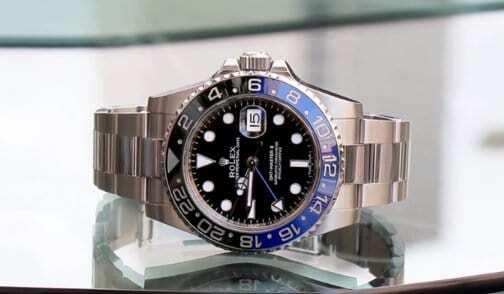 The design looks a lot like Rolex’s Submariner design; although a fraction of its overall price. The movement is a Japanese Seiko NH35A which operates at 21,600 beats per hour. That’s not quite as stellar as Swiss automatic movement, but it’s not far off either and you’re not paying the Swiss movement price. Typically, this particular piece will be accurate within 1-3 seconds a day. Manual winding and hacking are also a part of this model. Together these features aren’t typically found in this price range. In fact, you’d be lucky to find it for twice this price. Perhaps what I like most about this watch is its overall cost. If you’ll really be in the water diving, it’s better to take a chance on a watch like this than something much more expensive. Keep in mind that it’s self-winding. So, it’s something you have to be willing to keep up on. If you’d rather have a battery, look elsewhere. 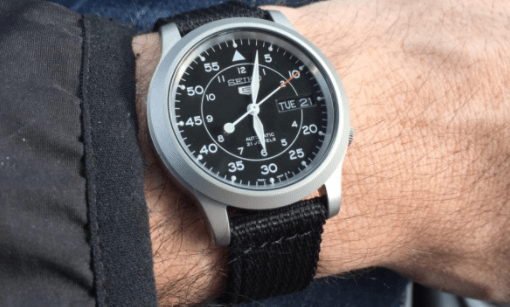 Another handsome watch below $100 is Seiko’s Black Dial Canvas watch. This is an automatic mechanical watch with around 40 hours of power reserve. The canvas band is much more comfortable than a steel one and takes a beating as well. It’s not a big watch at 37mm and it isn’t heavy either. For that reason, and because it wears extremely well, it’s a great daily wearer. Some may prefer to switch out the band. It’s not that expensive to do so. It takes 18mm straps – same spinbars. Search “snk809 nato strap” for additional options. If you do so, you may find yourself thinking this looks like a watch that costs two to three times what you bought it for. The watch itself glows well in the dark, is intuitive to set, and is fine to take with you to the pool or in the shower. It uses accurate movement with Seiko’s 7S26. Thus it keeps relatively good time although you may find yourself adjusting it every few weeks. As far as fitness bands in the $200 price range are concerned, we still really like the Samsung Gear Fit 2. 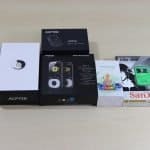 It’s customizable for just about every type of fitness activity you want to throw at it and has a great battery life too. Battery life is somewhere between a smartphone and a smartwatch. I’ve had times where I’ve had to recharge it after 2 days and, depending on how much I use it, it’s lasted 3. For design, the watch band is extremely comfortable. The curved glass on the watch face also adds to this. The look of the watch face can be customized as well with various options including more options you can download. 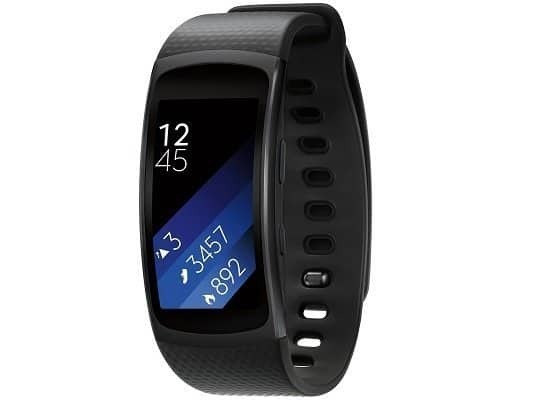 The Gear Fit 2 Pro is compatible with both Android and IOS, so it should work with just about any phone out there. Speaking of phones, if you don’t want to take your phone with you while you’re working out, you can download music directly to the Fit2 and leave your phone behind. It also has offline Spotify support. Overall, this is a watch that makes a statement, looks pretty good, and isn’t terribly expensive. Would I wear it with my tuxedo? No. Would I use it while I train or to run around town to simplify sending and receiving texts and phone calls? Absolutely. 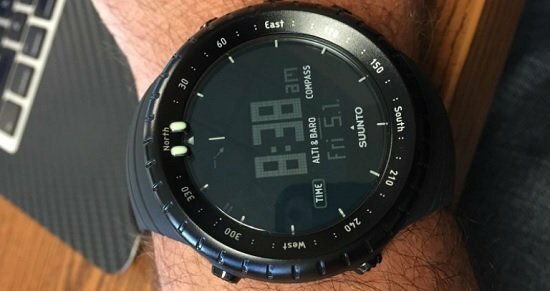 The Suunto Core all black is a military watch that looks great, takes a beating, and has a ton of great features. Let’s start with the features as that’s what really sets this ABC watch apart. 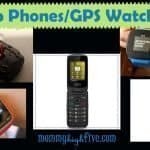 This includes an altimeter for elevation, a storm alarm, a weather trend graph, and a compass just to name a few. It’s water resistant up to 30m and includes a depth gauge up to 10m while you’re snorkeling. Admittedly this watch gives you function over beauty. It’s lightweight, has all the features you need for the backcountry, and takes a true beating. Yet, it scuffs rather easily, and the band could be sturdier. 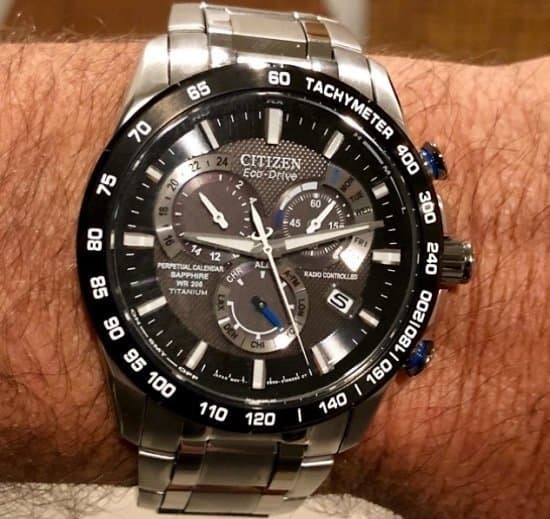 If you’re looking for a watch that has an amazing design and a hassle-free design, consider one of Citizen’s Eco-Drive watches. The Citizen Eco-Drive is powered by light. Any type of light. That includes artificial. With a full charge, the Eco-Drive can work up to 6 months. This means you never have to worry about changing your battery. Even after 20 years the battery should keep around 80% of its original capacity. The model we’re featuring above is the AT4010-50E. The silver-tone with black tachymeter topring design is handsome and rugged with the sapphire crystal over the top. The design is eye catching while not being over the top or gaudy. The bracelet is titanium with a fold-over clasp and a hidden double push-button closure. It does scratch over time. So, it may need replacing in a few years if you use it while working or in the outdoors. These watches keep amazing time as they’re synchronized with atomic radio. The case, including the ring, is titanium. This makes it more scratch resistant and lighter when compared to stainless steel watches. For around $400 we recommend Seiko’s Japanese automatic mechanical movement casual leather watch. 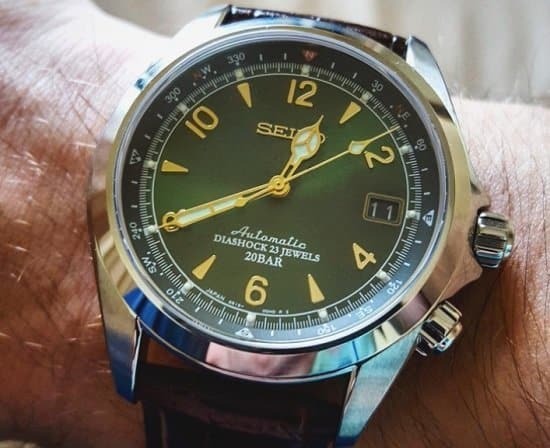 The green sunburst dial and golden numbers make it a conversational piece when you’re out and about. Better yet, it comes with Seiko’s Japanese movement along with a 50-hour power reserve. This combination of quality and a unique look sets it apart. As the face is green it might not fit with what you wear every day; however, it’s perfect to have in a collection. The SARB017 isn’t made as a diving watch. However, it’s water-resistant, up to 660 feet. Movado is known for its unique yet classy designs. This new Blue Aluminum design looks fantastic. The minimalist look, blue watchface, stainless steel case, and rubber strap set it apart. 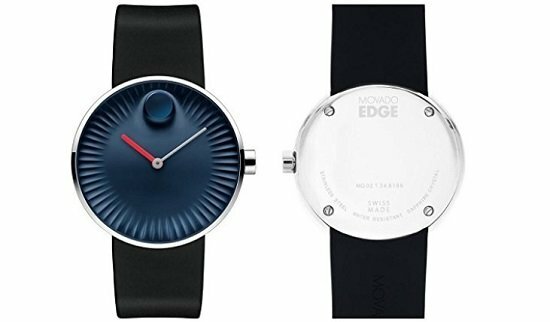 Movado has other designs that look similar, but this is the new look we like the best. For technical specs, this watch uses Swiss quartz moment and has a sapphire crystal dial window for additional durability. Its resistant to up to 30 meters. That being said, this isn’t a watch we’d recommend you regularly submerge. 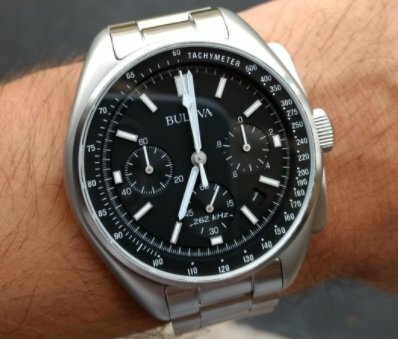 If you’re looking for a watch in the $500 price range that looks like a $1,000 or even $2,000 watch, we recommend Bulova’s Lunar Pilot Chronograph watch. The Lunar Pilot is a Moon Watch replica made from Colonel Dave Scott’s Bulova brand chronograph watch used in his Apollo mission in 1971. Initially he used an Omega watch; however, after the hesalite crystal popped off of it, he used his personal Bulova backup. His watch too had Hesalite crystal as it works for zero-gravity environments. This replica represents the class from that time period along with modern innovation. One thing I personally love about it is how easy it is to tell the time. It’s big, bold, and luminous at night. The glass is sapphire (not Hesa and anti-reflective so you can get a good look at it even while in the sun. The timing of this watch is one of the best in the industry with 1/1000-second precision. Ultimately, the Lunar Pilot offers a bit of history and a classic look for a very affordable price. It’s durable and a favorite of many for their watch collections. At the $1,000 price point, we’re taking a look at some extremely luxurious watches. No, they’re not the most expensive watches on the market. However, they represent the features and class of watches many times their price. 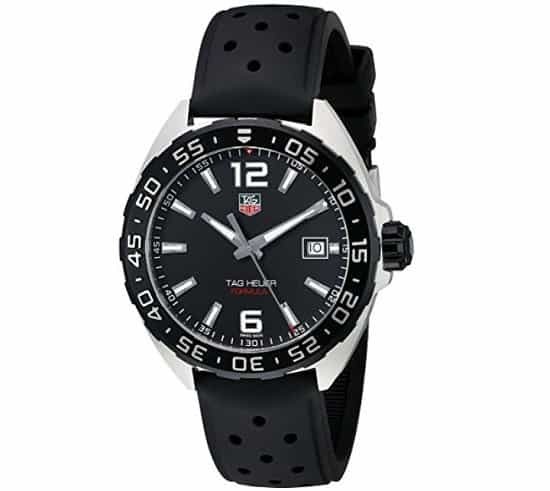 If you’re looking for a classy sports watch, the Tag Heuer Formula 1 is one of my favorites. It features battery operated quartz movement, has a resistant sapphire crystal, a black rubber strap, and provides 660 feet water resistance. It’s not recommended for deep diving, but certainly adequate for water sports. The face features a uni-directional rotating bezel, luminescent markers, and a 41mm size. The design represents Formula 1 colors and exudes a luxurious racing quality to it that looks good in a tuxedo or sports jacket. With its rubber band and robust design I highly recommend it as a daily option. 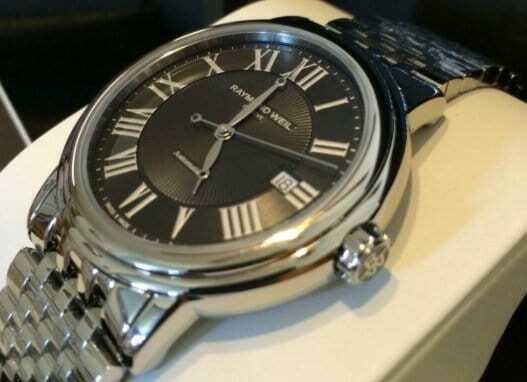 Another fantastic looking watch in the $1,000 price range is the Raymond Weil Maestro. It features Swiss automatic movement along with a protective sapphire crystal dial window. Retail on this watch is around $1,500; however, you should be able to find it under $1,000. The Display is analog with large Roman numerals with Pomme-Style hands and a date window. The band features a deployant buckle closure. The Maestro is water resistant up to 165 feet; however, only swimming and showering is recommended. Overall, it’s an elegant option in the $1,000 price range and a fantastic option for many collections. In the $2,000 price range, there are many watches that stand out. 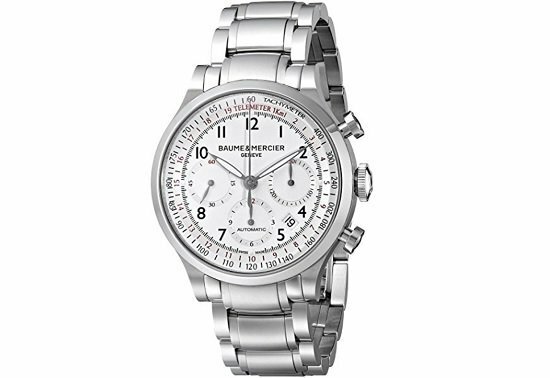 However, the one we’re featuring here is the Capeland from Baume and Mercier. It’s a Swiss-automatic movement watch with a white dial and luminous hands. If you’ve got a bit more to spend take a look at the Omega Seamaster. It’s a dive watch water resistant up to 990 feet or suitable for scuba diving to a depth of 30 meters for around 2 hours. 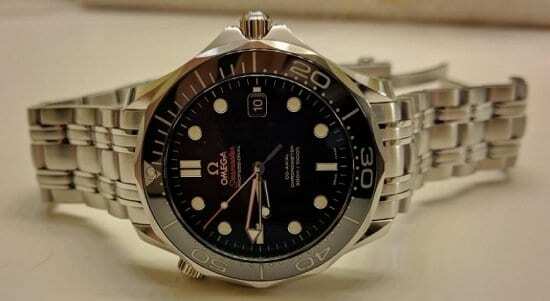 This particular watch has been made popular by the 007 James Bond series. It’s not an exact replica but with the right band looks nearly identical. It’s a hardy stainless steel watch with amazing shine to it and precision time keeping. The craftsmanship is quality, the look is on point, and it’s the perfect mix of elegance and sport. If you’re looking for a good watch to invest in, we like the Rolex GMT Master II nicknamed “Batman” to many. A standard GMT II comes in at around $6,500 pre-owned while a Batman will be upwards of $9,000. So far, we’ve seen it hold its value very well. You can wear it with a suit, wear it while casual, or even take it diving. It’s not a sure bet like a Rolex Stainless Steel Daytona, so if you’re looking for a more certain investment (nothing is certain) go that route. The black and blue over the standard black adds an additional level of sophistication. Overall, this watch looks great, so far is holding its value well, and is a statement piece. We recommend it at under $10,000.